I bought this as a project but I didn't really have the time to properly restore to working order, so I passed it on to another collector. Bernardon-Martin M1907 Semi-Auto Pistol, 1908(est) St-Etienne Production, Thai(Siamese) Service, .32 acp, S/N: 1019 One of the rarest semi-auto production pistols, the Bernardon-Martin 1907 was the very first domestically-produced semi-auto pistol on the French commercial market. 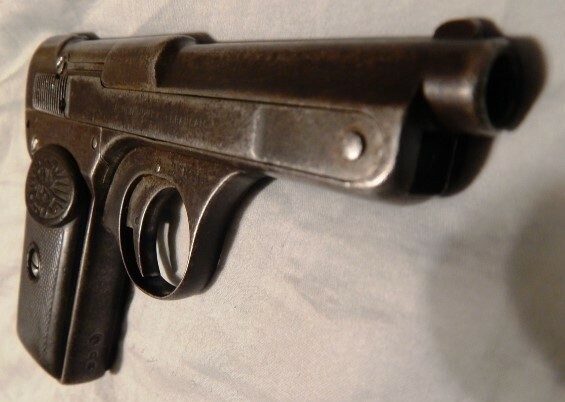 With details on the pistol scarce, and what little information available often conflicting, the history and production totals are virtually unknown, but estimates place the number of units made at less than 2,000. Presumably seeing no official military use in Europe, this example is made more scarce by the presence of Siamese property markings on the grip and backstrap. 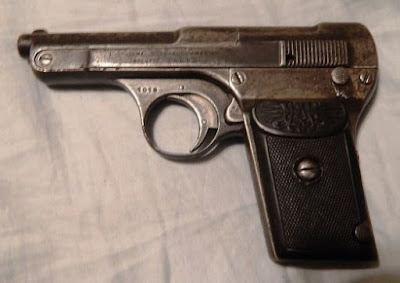 It is thought that the pistol was given to the Kingdom of Siam as part of a military aid package, or it may have made it's way via French Indochina. In any case, this Mannlicher-inspired weapon is a highly desirable collectible that would be at home in an advanced collection or museum. 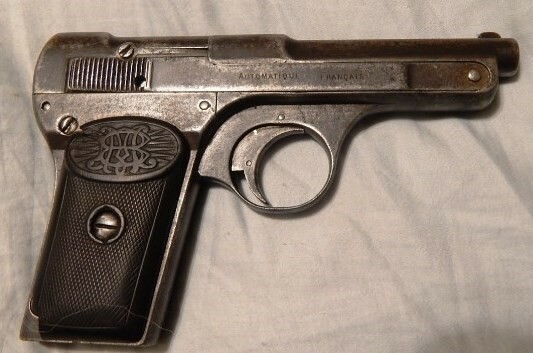 Condition: Is fair with the pistol retaining 25-30% of the original bluing. 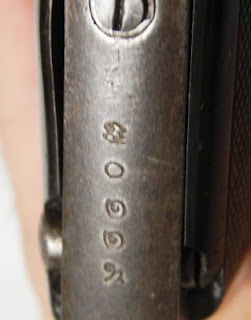 Markings have faded slightly, but are still legible. Metal surfaces are generally rough, with no active rust and no deep pitting. Mechanical function is a mixed bag-the pistol appears to be missing it's striker, but looks to be otherwise functional. Also missing is the magazine, but amazingly, reproductions are available via Triple K. Original hard rubber grips show damage and wear with the top portion of the left grip missing. A worthy gunsmith project, this historically important pistol would be the pride of many collections.